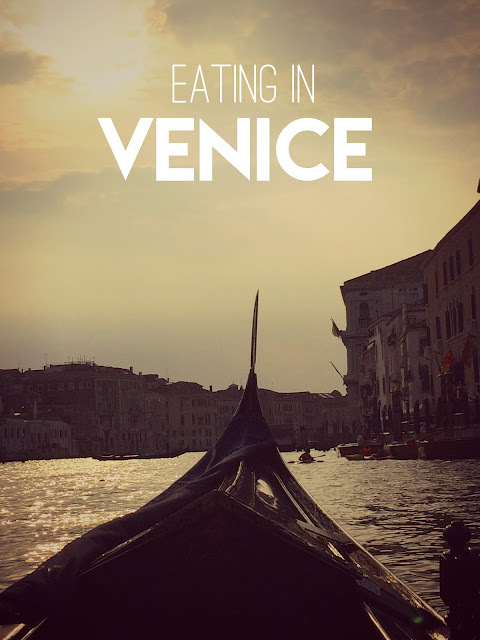 I decided to write a post just about what we ate in Venice because, for me, the best memories of the city are related to food and drinks. We wandered and walked without directions and found cute alleys, pintoresque windows, the mercato, the osterias and the places where the locals eat. Our first meal, was a total splurge! 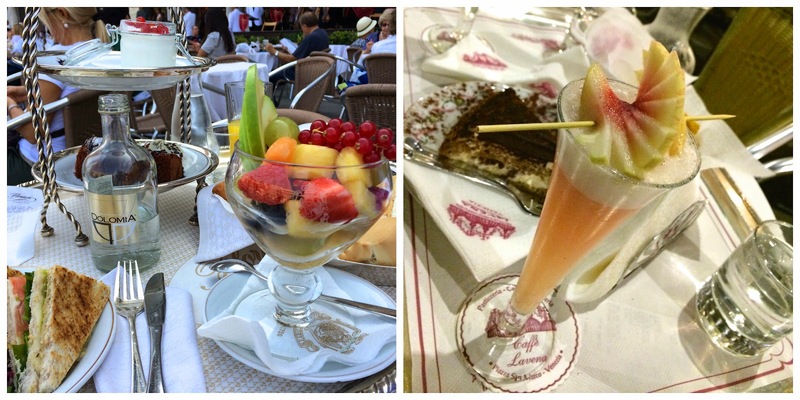 We ate brunch at Caffè Florian. The cafe is located in the middle of St. Mark Square and has a live band. Founded in 1720, is one of the oldest in Europe. People like Casanova, Goethe, Ernest Hemingway and Lord Byron were assiduous customers. They charge coperto, a fix amount just for having a table, but more than the food you are paying the experience, which in my opinion is all worth it. We were at the heart of the city where all the hordes of tourist were, but we were able to eat, have coffee and enjoy the view and the music. We went back at night and the experience was completely different. The crowds were gone, the lights were on and the bands were playing filling the piazza with music. Dancing in the middle of the main piazza full with history was unforgettable. Cicchetti are small snacks, usually serve in osterias. The locals eat them at late morning or as snack in the evening after work. Usually they serve small sandwiches, olives or a slice of bread with vegetables, cheese or seafood paired with wine that locals call ombra. The best osterias, are near the Rialto Market, which is a short walk perfect for having lunch. Eating here was a highlight of our trip. 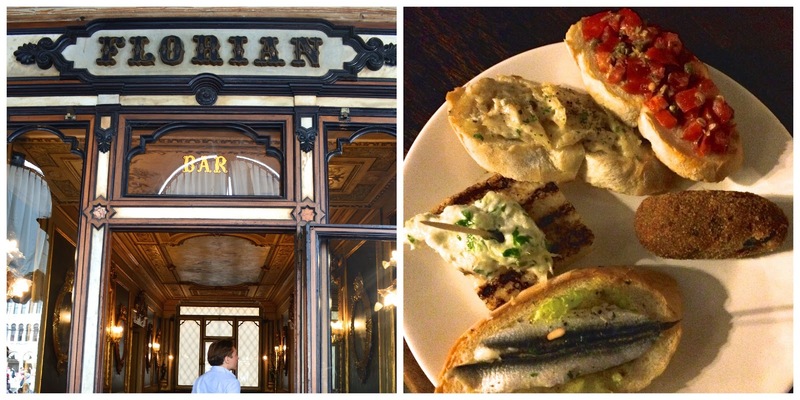 It is suppose to be the oldest oseteria in Venice, has been in business for 600 years. During our visit we were surrounded only by locals, even gondoliers got their "ombra" while we were there. It has a more modern ambiance and it has many rewards. We tried all the seafood cicchetii: langoustines, calamari and cod, served on slices of bread. Perfect destination if you want to eat venetian food. We ate dinner at their dinning room and got the best spaghetti al nero di seppia (squid ink). 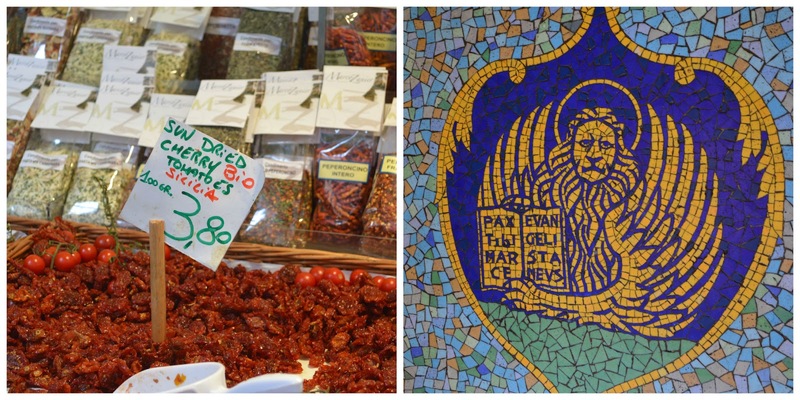 The market is a few yards away from the Rialto Bridge and provide an assault for your senses: colorful fresh fish and fruit and strong aromas from herbs. Venetians have been buying here for centuries. Perfect spot to buy some fruits for snacks or just walk around. While in Venice you need to drink Prosecco and Bellini, a cocktail maid of Prosecco and peach puree, which was invented in the city at Harrys bar. Another famous cocktail, is the Spritz. It is made with Aperol, I was not a big fan, in my opinion it has a strong flavour. Tip: Avoid eating a menu turistico or pizza and always ask for the specials of the day. This is the best thriller I have read in a while. It takes place in Australia, the 3 main characters, Madeline, Celeste and Jane, meet because their kids are starting kindergarten together. Since the beginning you know someone was murder at a fundraiser at the school and it is one of the many secrets this story has. 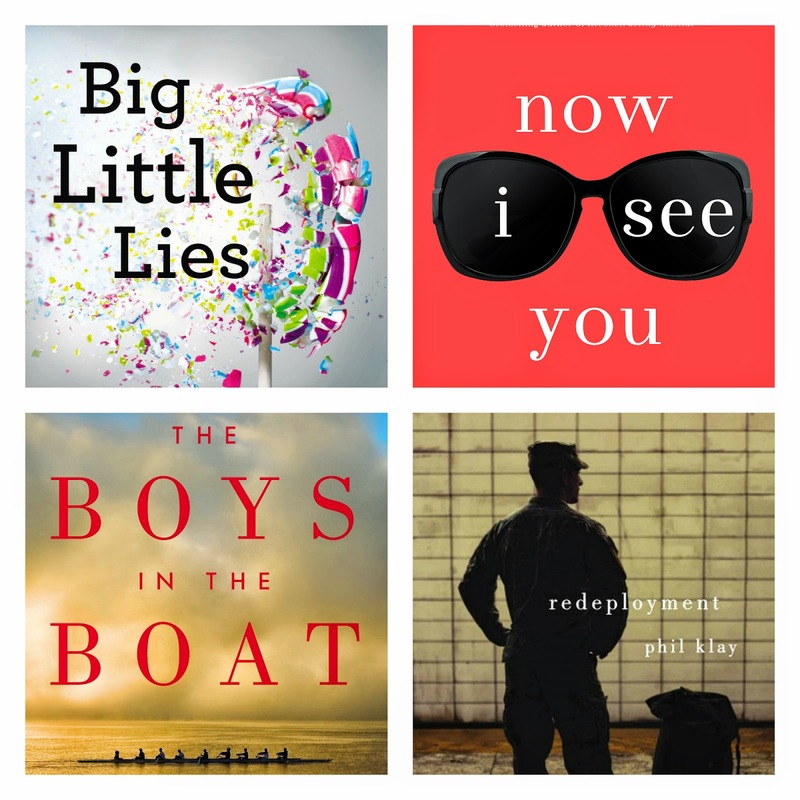 The book tackles some serious issues like domestic violence, bullying, self image and single parent-hood and but the same time it makes you laugh. 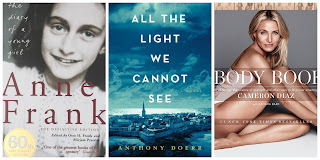 It is a memoir of Nicole, who was diagnose at the age of 19 with a degenerative eye disease that will left her blind. Regardless her impediments, she got a degree in drama at Yale, traveled, fall in love, got married and had kids. As the time passes her disease progressed and that brought a lot more challenges to her life. While I read the book, I kept thinking what would I have done if I were in here place. How difficult it should be to have a limited amount of time to see the world meanwhile slowly it becomes blurrier as the time passes. The book is about the life of Joe Rantz, whom even all the adversities in his life, studied in the University of Washington. He was part of the row team that, against all probabilities, won the gold medal in the Olympics of 1936 in Berlin. This is a story about the American dream and how despite all the struggles of the Great Depression, with hard work and team effort you can achieve success. This book give me the opportunity to learn more about the history of the city that I called home: Seattle. I have gratitude and profound respect for those you have served and those who serve in the military. They and their families give up a lot for this country, that was the main reason I choose it. The book consist of 12 stories about the impact of the war in soldiers, the life after deployment and the aftermath of what the war does. I was interested in the topic but it includes a big amount of acronyms to the point that some stories are unreadable. My least favorite book of this month. 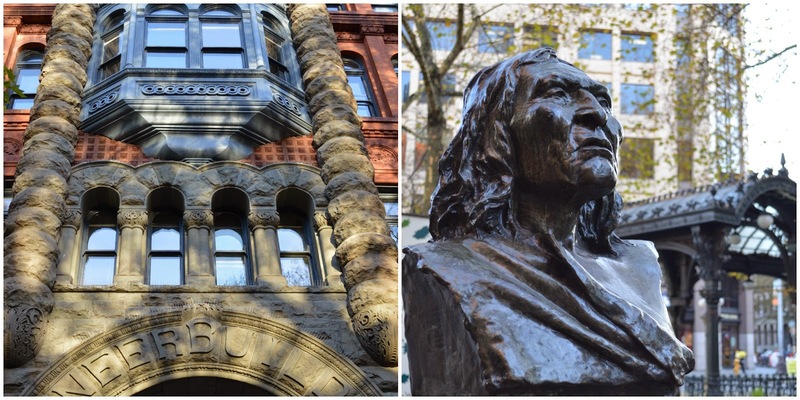 Pioneer square is the historic center of the city of Seattle. This is where all began, where the founders settled the city in 1852. All the buildings were made of wood, under the actual street. After a fire, the city was rebuilt on top of the burned ruins leaving underground the remains of old buildings, roads and walkways, that became basements. The new buildings were built of stone and brick, many had been observers of the evolution of the neighborhood and the city. After the flourish of the area, it was forgotten when the city moved further north and at the beginning of the 1900 the underground was closed. 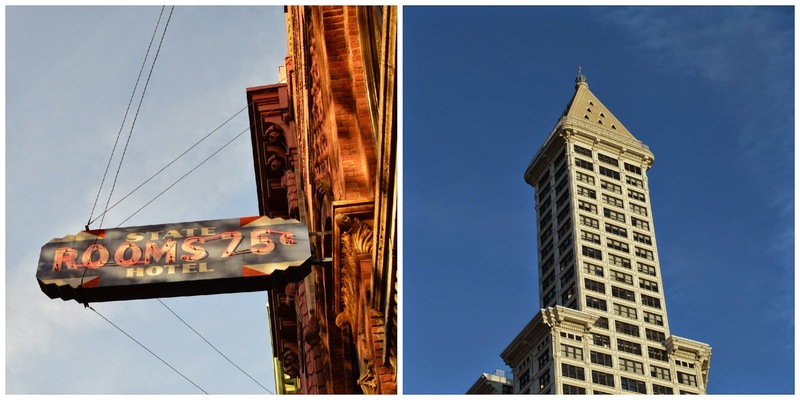 During recent years many buildings have been renovated and we have been witnesses of the latest renaissance of the area, where now there are art galleries, small businesses, coffee shops, bars, start ups, new restaurants and one of my favorites building: Smith tower. Seattle underground tour. Is a world-famous tour that takes you under the street to see a glimpse of the old building buried after the great fire. First Thursday Art walk. 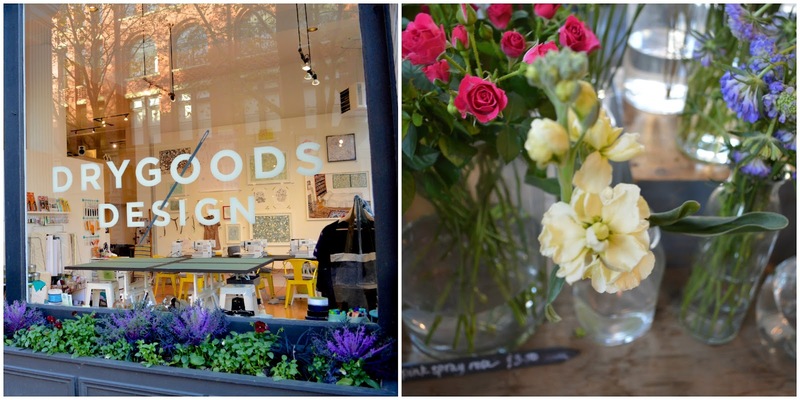 A free walking tour though the galleries and stores of the neighborhood. Smith tower observation deck. This was the first skyscraper on the city and probably is the best observation deck. I love the elevators, sadly is under renovations. E. Smith mercantile. A little bit of everything and cocktails in the afternoon. Fresh tangerine. Handmade jewelery made in Seattle. London Plane. My favorite brunch spot. Eat, buy flowers and enjoy the view. Il Corvo. Best handmade pasta made daily. Open just for lunch time during week days. Bar Sajor. Just got drinks but need to try the food. Damn the weather. Best cocktails and awesome decor. Living in the Pacific Northwest has giving us the opportunity to see landscapes and enjoy nature in ways that we haven't done before. 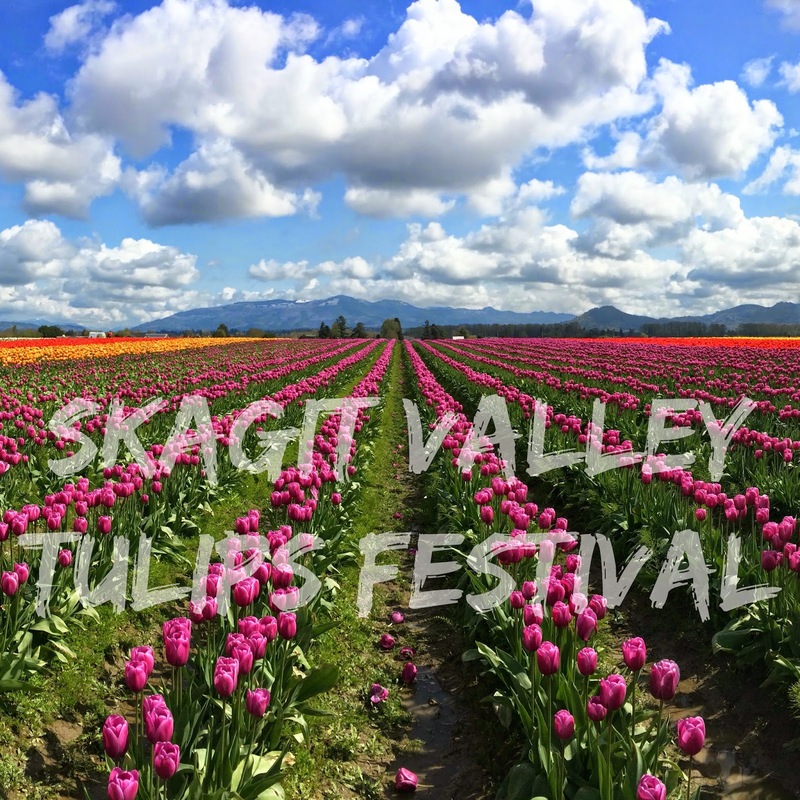 Last weekend, we decided to start the spring season with a trip to the Skagit valley tulips festival. Tulips are my favorite flower and I totally enjoyed the fields full of rows and rows of different colors. The fields were breathtaking. The photos speak by themselves. After touring the Roozengaarde, we went to La Conner for lunch. 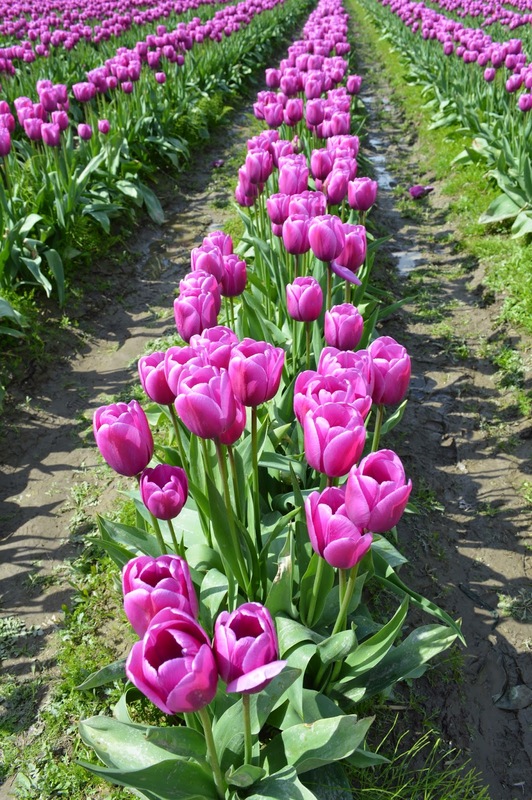 La Conner is a charm town, located just 10 minutes drive from the tulips fields. It is a small town where you can find cute shops, restaurants and a marina with great views. I recommend to have lunch at La Conner Brewing company, they have beers on tap and wood-fired pizzas. Plan ahead, and check this map before you go, to see which fields are in bloom.